Bonesy would go perfectly with Skull Trooper. 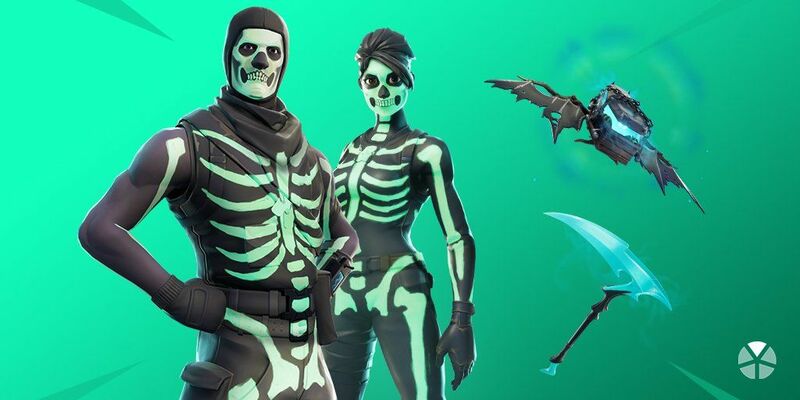 Epic Games has apparently made the Skull Trooper and Skull Ranger outfits available for purchase in Fortnite: Battle Royale, as well as some matching cosmetics. Today’s 6.02 update added the Skull Squad set to the item shop, which includes the highly-regarded Skull Trooper outfit. The set also contains the Skull Ranger, and the respective glider and pickaxe, which are reportedly called Crypt Cruiser and Skull Sickle, respectively. The Ghost Portal back bling will be unlockable via challenges. Over the past few weeks, fans of the popular game debated whether skins like Skull Trooper, which are seen as quite rare, should return around Halloween. Opponents noted that the rarity and value of skins decrease each time the developers bring them back, while supporters argued newer players should have the chance to buy some older skins. It appears Epic sided with the latter group, and it’s sure to ruffle some proverbial feathers. The return of Skull Trooper, however, is almost certainly a move that will bring in a lot of money through microtransactions.